Heavy sweating—also known as hyperhidrosis—can affect any part of your body and can leave you feeling self-conscious and uncomfortable. The culprit? It could be any of a variety of excessive sweating causes. There are a number of ways to treat excessive sweating. Consult with your doctor as to which one works best for you. Have you ever found yourself covered in sweat for no obvious reason? Despite the unpleasant feeling (and smell!) it may give us, sweating is one of our body’s most important functions. It’s natural: We sweat when we’re feeling too warm, when we’re nervous, or after rigorous physical activity. We need to sweat in order to function properly—it helps to maintain the body’s temperature. However, excessive sweating can cause embarrassment if we’re left with discolored marks on our clothes. It can be even worse if it occurs on a regular basis. Also known as primary hyperhidrosis, excessive sweating causes problems for more than 300 million worldwide, according to SweatHelp.org. 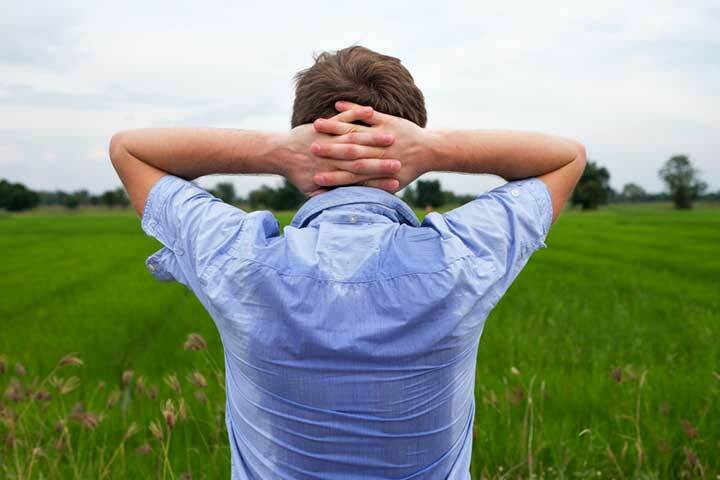 People with hyperhidrosis do not have more sweat glands than others. In fact, excessive sweating usually is caused by an oversensitive sympathetic nerve. Primary hyperhidrosis mostly affects the hands, feet, and the face—the areas involved in emotional sweating. It is not caused by a preexisting medical condition, nor does it affect people while sleeping. Sometimes a genetic mutation plays a role. WHAT CAUSES THAT SWEATY SMELL? Sweat itself doesn’t contain a smell. Bacteria on the skin creates that unpleasant body odor. The warm and damp conditions of an armpit create a perfect environment for bacteria to thrive. Tuberculosis is mostly associated with night sweats. HIV can also cause excessive sweating. Neurological disorders. Parkinson’s disease may affect the autonomic nervous system, which is responsible for sweat regulation, which can cause you to either sweat too much or too little. Many times, a prescribed medication used to treat Parkinson’s can contribute to excessive sweating. In people with multiple sclerosis, night sweats can occur due to problems with the central nervous system. Endocrine disturbances. Hormonal changes, pregnancy, and menopause could be to blame. The hot flashes accompanied with menopause can lead to excessive sweating. When the estrogen levels drop it can also lead to sweating. There are a variety of treatments and supplements that can potentially help with that. Heart attack. One of the symptoms of a heart attack is excessive sweating. Heat exhaustion. Hot weather, of course, is one of the main causes of heat exhaustion. The increase in moisture on a humid day slows down the process of dissolving sweat, which helps to cool the body. When your body can’t cool itself, you can become ill. Therefore, it’s important to stay in the shade during hot days and limit your time in the sun. Exercise. While exercising, it’s important to stay hydrated and take a break to cool off if it is needed. Spinal cord injury. Excessive sweating can be caused by neurovascular instability syndrome. Antiperspirants are the most popular method used for treatment for excessive sweating. They are the least invasive and inexpensive. Antiperspirants are available over the counter or by prescription by your dermatologist. Most antiperspirants use aluminum-based compounds that reduces moisture from sweating. As the sweat interacts with the compounds, it then turns into a gel that covers up or blocks the sweat glands, which reduces further sweating. The process only lasts for a little while, so antiperspirants must be periodically reapplied. Antiperspirants are available over the counter or by prescription by your dermatologist. Botox injections can be effective when administered by experienced practitioner. Botox injections are most effective on the head and face. A chemical in the body responsible for stimulation of the sweat glands is temporary blocked by Botox. It takes about two weeks for the full effects and the first noticeable results are visible after two to four days. When used on palms, however, it can cause temporary pain and weakness. Oral medications can be prescribed by a doctor when other treatments have failed. Anticholinergics are the most commonly used. These kinds of medications do not target a specific area of the body. It decreases sweating in general. It can lead to overheating of the body, which can be dangerous. 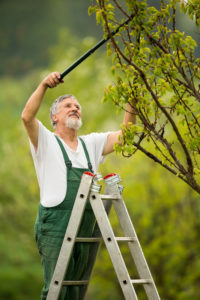 There are certain risks involved, especially when it comes to patients over the age of 65. It can also increase the risk of developing dementia or brain atrophy. During the shooting of a famous scene from the 1964 movie Goldfinger, actress Shirley Eaton, who portrayed a murder victim covered from head to toe in gold paint, was assisted by a medical team on the set because it was widely believed at the that time that humans breathe through their skin and that closing off all the pores would result in quick death. The directors even left some parts of Eaton’s body uncovered by paint to protect her. The truth is that if a person can breathe through his or her mouth or nose, he won’t die from suffocation no matter how much of the body is covered in paint. Eaton didn’t even become ill from doing her Goldfinger scene. But that doesn’t mean that body painting is completely safe. It can lead to overheating because your pores are being clogged, which prevents you from sweating. And toxic substances found in paint can contribute to death if you stay in a painted state for too long. a heart attack, antidepressants, anxiety, anxiety symptoms, bacteria, brain, brain atrophy, central nervous system, dementia, diabetes, diabetic, diabetic neuropathy, estrogen, exercise, fight or flight response, glucose, glucose levels, health, heart attack, hormone, hot flashes, hyperthyroidism, metabolism, multiple sclerosis, nervousness, night sweats, pain, parkinson s disease, physical activity, side effects, skin, spinal cord injury, stress, stress hormones, supplements, symptoms of a heart attack, thyroid, thyroid hormone, tuberculosis, weather.